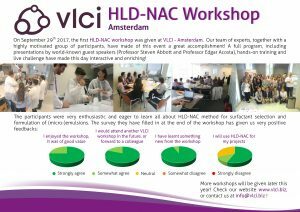 Excellent feedbacks from our first HLD-NAC workshop ! On September 29th 2017, we have hosted our first HLD-NAC workshop at our Amsterdam facility. The participants have filled in our survey, and have given us excellent feedbacks!